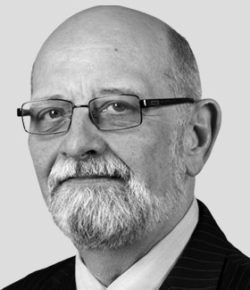 For years, Dr. Kent Moors has been compiling a detailed dossier of micro energy stocks that he didn’t share with anyone – not even with members of his elite energy research service. The stocks in Kent’s dossier were very thinly traded stocks that could take off like a rocket overnight simply on rumors. These companies were almost all tiny, usually trading at less than $1 a share. And their market caps were miniscule – sometimes less than $100 million. That means they were just too small for Kent to recommend to everyone in his entire readership. The stocks just weren’t liquid enough, even though profit potential was enormous. So we came up with a compromise that would allow Kent’s readers to get in on these phenomenal shares, names of small companies that could jump 100%, 200%, sometimes even 400% or more. Shares like Abraxas Petroleum Corp. (NasdaqCM:AXAS), which soared from 65 cents all the way to $5.87 – an 803% gain in a little more than two years. In late 2011, we created an elite service designed for a very small group of subscribers. We called it Micro Energy Trader, and the results so far have been phenomenal. And 18 times since Kent’s first alert. In fact, so far this year, they’ve already had a chance to lock in 20 triple- or double-digit winners, and they’re sitting on open gains that have gone as high as 95%, 145%, and 238%. Three years later, less than 1,000 people in the world can access Kent’s dossier of micro-cap recommendations. And new members can only be added as existing slots become available. That doesn’t happen very often. But you have the rare opportunity today to secure one of these lucrative spots for yourself. “Electro-wave Inversion” technology (EWIs) could create 2.7 million American jobs… save 610,000 lives from deadly diseases… and unleash $3.9 trillion to the U.S. economy. It is one of the most important innovations in modern history. EWIs can use electromagnetics to harness one of the world’s rarest energy sources. NASA’s already using it to do impressive things… but you need to stake your claim now, before 7.1 million EWI devices ship as early as April 1. This could deliver early investors the profit of a lifetime. 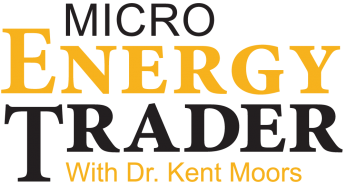 The firms we trade in Micro Energy Trader are some of the smallest publicly traded companies in the stock market. Stocks that trade for less than $1 a share come with some special risks. Not all companies of this size pan out. To be sure, many penny stocks are penny stocks for a reason. Even so, thousands of regular people have made very handsome gains in this special piece of the market… just by putting $1,000-$5,000 into one or two of these little stocks. Take Acorn Energy (NASDAQ:ACFN), for example. This tiny energy player was selling for just $1.35 a share in late 2008. By April of 2012, it had gone all the way to $12.09. A $1,000 investment would have risen to $8,950, less commissions. Coastal Energy (TSE:CEN) is another… it jumped from $3.25 a share in 2010 to $18.98 by the end of last year. And Cheniere Energy (NYSE:LNG) – a company I still love – was once a micro-cap gem, too… before it climbed 512%. Here’s my point: Even if you missed nine out of 10, you still would’ve ended up with a sizable pile of cash. These are highly volatile stocks. They bounce up and down like a Yo-Yo. For every one big winner, there can be three or four losers. But experienced energy players who know what they’re doing can make incredible money on stocks like these. Like hedge fund traders, small-cap energy players don’t need a very high percentage of winners to outperform the market by a sizable amount. With strict money management guidelines, you can quickly close out a loser and let your triple-digit winners run. Again, it just takes one to hit it big. And now, for the first time, you’ll know exactly which ones are most likely to soar. The Most Powerful Device in All of History? The president has just inked Executive Order 13795. And we strongly suggest you watch this presentation immediately. Under Section 9 of this mandate, the president unveils a groundbreaking new technology. This event will change the landscape of just about every industry in the United States. More importantly, it could create a wealth surge for early investors in a tiny $114 million tech company. Which could grant them a legal monopoly over this $35 billion industry. It could begin just weeks from now. That’s why we insist you read this Money Map Press exclusive now.